Born in rural North Carolina in 1900 and telling her tale in the present, Roxanna begins her story on her twentieth birthday - a day that introduces her to the harsh realities of adulthood and changes the course of her life forever. From this day on, Roxanna is quick to share with the reader the intimate details of ninety years of life. While she barely leaves the small town of her youth, Roxanna's vision of the world is shaped by intense passions and loyalties and the certain tragedies of a life long lived. Fiercely loyal to all she loves yet prone to the chill of melancholy, Roxanna proves herself to be a great story teller. Her beguiling tale is one that boldly reflects the high and low moments in the development of the modern South, as well as illustrating one woman's inner strength through life's tall griefs and quick elations. 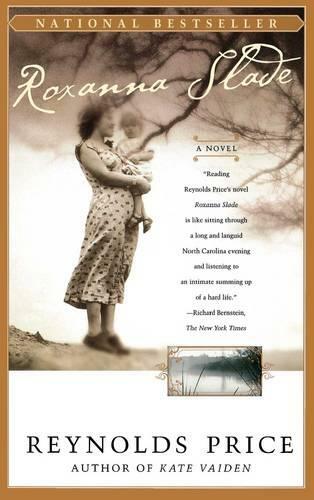 Richard Bernstein The New York Times Reading Reynolds Price's novel Roxanna Slade is like sitting through a long and languid North Carolina evening and listening to an intimate summing up of a hard life. Diana Postlethwaite The Washington Post Reading Roxanna Slade is like sitting at the feet of the wisest, most engaging, truth-tellingest grandmother imaginable....Here is language you can swim in, inhale, savor on the tip of your tongue. David Weigand San Francisco Chronicle Roxanna Slade is a profoundly and provocatively hope-filled book -- one might even say spiritual....Masterful...compelling. Charles Frazier author of Cold Mountain What a privilege to sit down with this book and let Roxanna Slade's wise, strong voice talk in your mind for a measure of hours about the profound consequence of ordinary lives. James Schiff The Raleigh News & Observer A virtuoso performance...through Roxanna's voice Price demonstrates that he, more than any of his contemporaries, is indeed a singer of stories. Janet Burroway The New York Times Book Review A chronicler of decency, pluck and joy, in novel after novel [Price] has given us the weight and worth of the ordinary. Ellen Kanner The Miami Herald Roxanna Slade shows that in a world of deceit, a simple, good woman is something exceptional. She can tell a good story if you have the time to listen. Barbara Holliday Detroit Free Press Reynolds Price may well be the dean of Southern writers. Anne Rivers Siddons Extraordinary. Price knows all there is to know about the American South, and Roxanna Slade is what he knows. It's a powerful book in its deceptive simplicity, vivid and particular. I loved it. Polly Paddock Gossett The Charlotte Observer Price proves yet again why he is one of America's most esteemed writers. His prose is rich and lyrical; his insights keen; his ability to slip inside the skin of his characters (especially women) astounding.